Transmudane offers listeners a six-track stew of shoegaze, psychedelia and alternative rock, and it is well worth your ears. The work of Wellington, New Zealand four-piece Earth to Zena, the EP combines dense sound with pop sensibilities. The songs are well-crafted, and the band displays a masterful feel for the material, allowing the songs to grow and reveal themselves in colorful layers. Earth to Zena are Renee Cotton (vocals/synths), Barton McGuire (guitar), Alex Sipanhioglu (bass), and Nic Allan (drums). Transmudane is out now in CD and digital formats; see the Bandcamp link below. If you are here, you love good guitar pop music. So have a Loose Tooth. Oh, did that suggestion trigger your fears of the dentist's chair? We apologize, but assure you that this Loose Tooth won't require cutting or yanking and will cost much less than an implant. A trio from Melbourne, this Loose Tooth creates hyper-catchy tunes with terrific harmonies and a vibe that reminds me of '80s pop in all of the good ways. 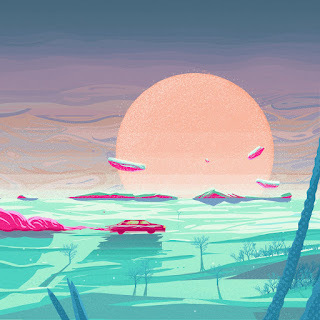 Their 2018 LP is Keep Up, offering 11 tracks that will allow you to keep moving to ward off the chill, or strut on the beach in sunshine, depending on your hemisphere of choice. 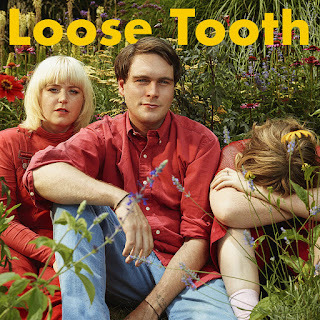 Loose Tooth are Etta Curry (vocals/drums), Nellie Jackson (vocals/guitar) and Luc Dawson (vocals/bass/guitar/keys). Dale Packard assisted with some sweet sax. Keep Up is available in digital and vinyl formats via Milk! Records. Our thanks to all of you who kept checking in for the past week and a half while we skied, drank beer, snowshoed, drank wine, and otherwise slacked off. However, be are back and starting to brink you some bands to discover and tunes to enjoy. 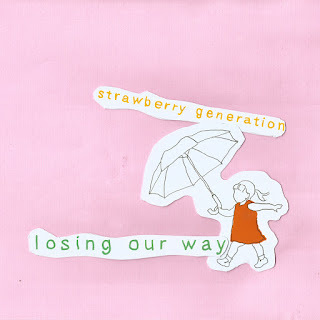 Our first post of this new year brings you Losing Our Way, the four-song release by Strawberry Generation. Energy, jangle, adept songcraft and interesting lyrics. Happy 2019! 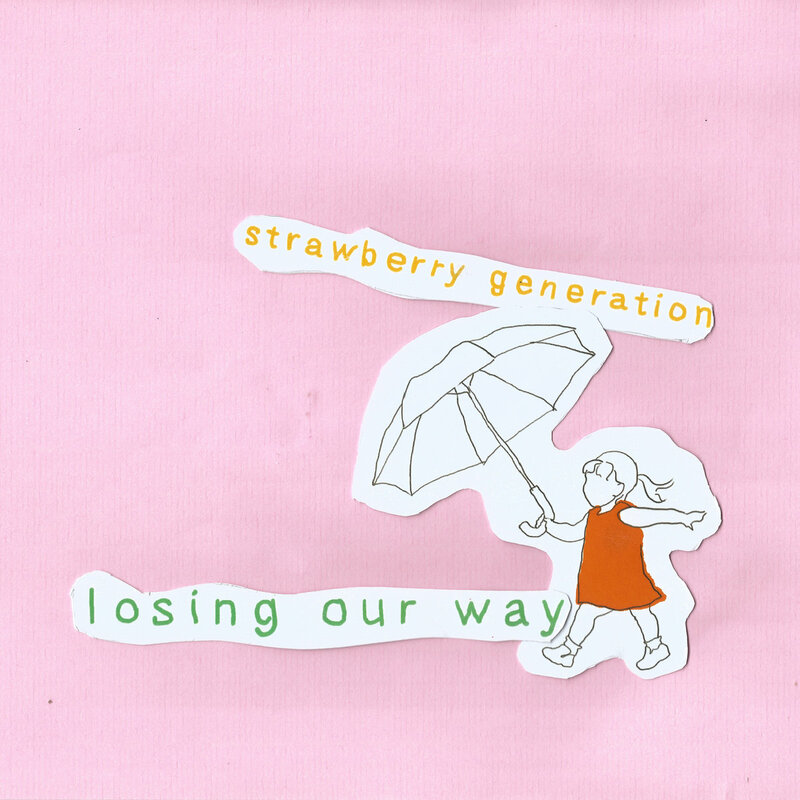 Strawberry Generation are Luk Yean, Valerie Zhu, Max Lowndes, Michelle Bazile, and Alejandro Subiotto Marqués. The band is based in Providence, Rhode Island.